(AP) TEHRAN, Iran - An Iranian official said the country's oil industry is working well despite an attack from hackers and a computer virus that targeted the sector's computer systems. Deputy minister for oil and civil defense Hamdollah Mohammadnejad said all field units and exports of crude have continued working without interruptions. His remarks were reported Tuesday by state IRNA news agency. 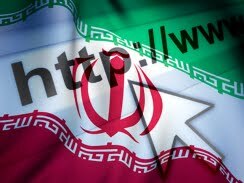 Iran announced on Monday it was forced to disconnect the country's main oil export terminal from the Internet as a preventive measure after a cyberattack. The semiofficial news agency Mehr said the Sunday cyberattack affected some data, but the ministry had backed it up. It said oil operations were otherwise unaffected. But the Kharg Island oil terminal, the ministry headquarters, and other facilities were all taken offline, the agency quoted Mohammadnejad as saying. Some 80 percent of Iran's daily 2.2 million barrels of crude export goes through the Kharg facility, located off its southern coast. Iran periodically reports cyberattacks to its nuclear and industrial sectors, almost always saying that little damage was caused. In 2010, Iran reported that a nuclear plant had been targeted by the Stuxnet virus. It denied reports that uranium centrifuge operations had been disrupted, saying that damage was confined to nuclear plant personnel's laptops. Iran has reported other cyberattacks since, including an infection in April 2011 dubbed "Stars" and a spy virus about which little is known but its name, "Doku." Earlier this year, head of Iran's civil defense agency Gholam Reza Jalali said the energy sector of the country has been a main target of cyberattacks over the past two years. Ultimately, Iran says it wants to set up a completely indigenous Internet that is also aimed at checking a "cultural invasion" by enemies aimed at promoting dissent and undermining the ruling system. Iran is at odds with Israel and the West over its controversial nuclear program. The U.S. and its allies accuse Tehran of wanting to develop weapons technology. Iran denies the claims, saying its program is for peaceful purposes.